Although JPG is the most commonly used format for images on the web, it has inherent flaws that limit its quality for viewing, printing and a number of other purposes. If you want to use your images for a wider range of purposes, it's best to convert them into Adobe's Portable Document Format (PDF). If you have lots of JPG files you’d like to convert, choose our converter program that accommodates batch conversions—you’ll save both your time and your clicking finger. Download Free JPG to PDF Converter and install it on your computer. A full version of the program is available for download. Run the application, you can see the above screen. 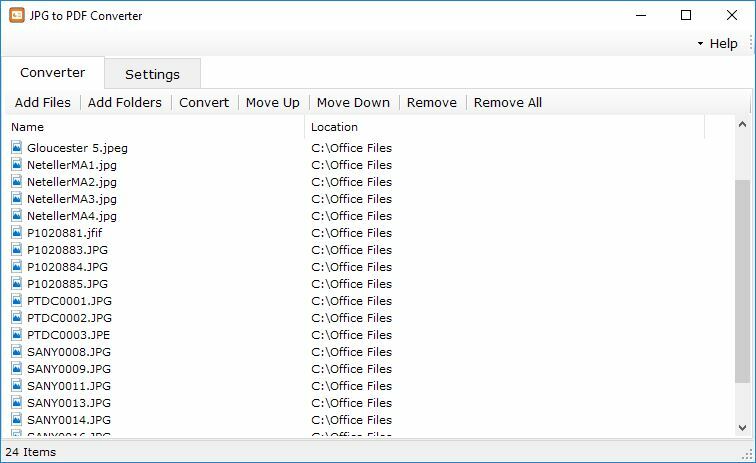 Click on “Add Files” to add JPG files to the conversion list. You can also drag and drop files and folders from the Windows Explorer. 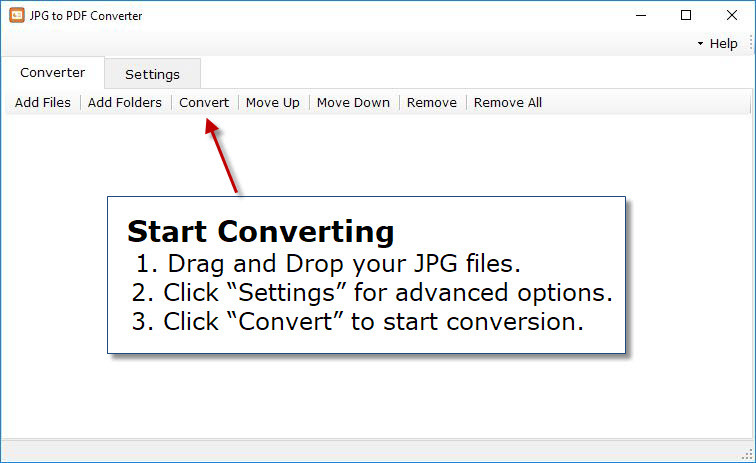 After selecting JPG files for conversion you can directly click on "Convert" button to start conversion. Before that you can change the Options like output folder, output mode and jpeg quality. JPG files contain single images. 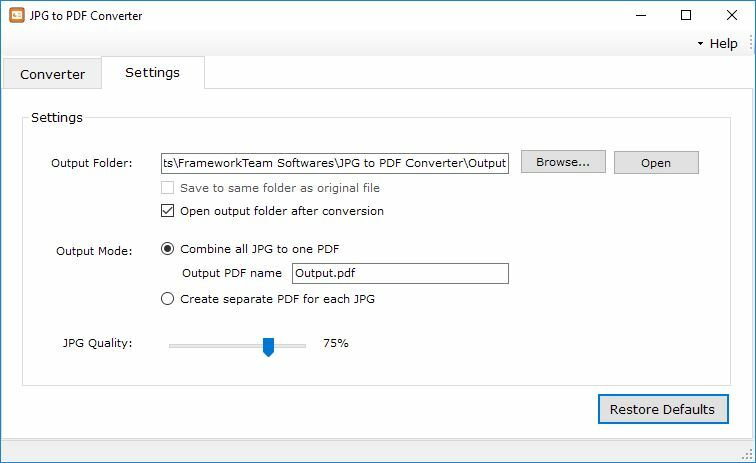 If you want to create a document that contains multiple images, you can convert multiple JPG files into a single PDF file. You can merge as many JPG files as you need into a single PDF file. For that you have to select output mode as “convert all JPG files to one PDF file”. If you want to create single page PDF file for each JPG image then you have to select “convert one JPG file to one PDF file” option. Now to convert the JPEG to PDF, click on CONVERT button to begin the batch conversion process. All of the generated PDF will appear in a separate output folder.